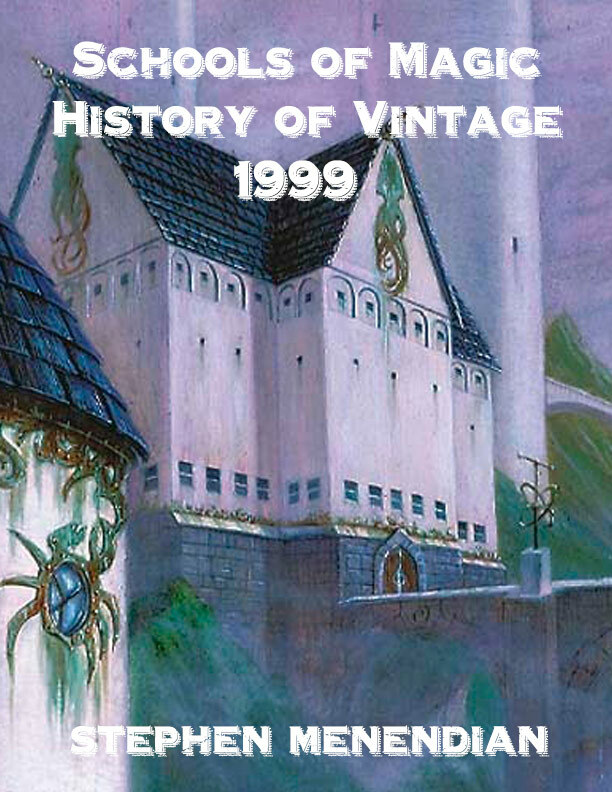 1999 was a year of great highs and dark lows for the slowly evolving Type I format as the remainder of Urza block tidal waved through the format. Watch as Keeper, Combo, and Necro compete on the Magic Invitational stage. Observe the sweeping restrictions that rocked the Type I format in 1999, and read about how players felt about and reacted to them. Learn the real story behind Magic’s only emergency banning ever. See what changes Brian Weissman made to The Deck following Urza block. Learn about the enigmatic yet subtly powerful Mercadian Masques expansion. Stephen Menendian paints a vivid and unforgettable portrait of a format at the precipice of the millennium and great change. Stephen’s penetrating insight delves behind the facts, decklists, and results to reveal the hidden relationships in an unforgettable year in the History of Vintage.